Elliot Alderson from "Mr. Robot:" Wear jeans, a dark blue hoodie, and a black backpack, and stand in the corner, by yourself. 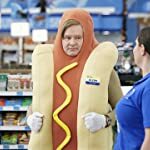 If you stay in character, however, you're not going to be able to enjoy Halloween (or much else) so eventually drop Elliot's social anxiety and have some fun. 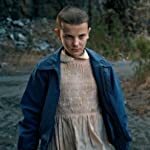 Eleven From "Stranger Things:" Shopping list includes flesh-colored skull cap or a bad blonde wig, a high-necked pink dress with a white collar, a blue jacket, striped knee socks, white Converses, and a chunky black watch. 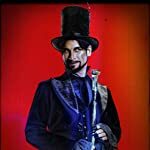 A bit of fake blood under your nose completes the costume. You can also have some fun staring at objects while a friend "helps" you to "move things with your brain." 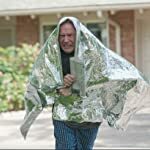 Charles "Chuck" McGill from "Better Call Saul:" Wrap yourself, as shown, in foil, carry a candle-lit lantern, ask people to "ground" themselves, and act very nervous around anything that uses electricity. Teddy Flood from "Westworld:" The nice guy with a fierce streak, be ready to show off that quick draw. Dolores Abernathy from "Westworld:" If you wear the blue dress, you are the not-yet-evolved version of Dorothy, which was programmed to be a "damsel in distress." You have a programmed mantra: "Some people choose to see the ugliness in this world. The disarray. I choose to see the beauty." 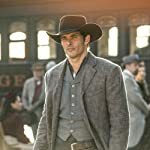 Maeve Millay from "Westworld:" If you choose to dress as Maeve, practice your seductive side and be ready to be as tough as your costume is flirtatious. Jessica Jones from "Jessica Jones:" A costume as easy as long dark hair, ripped up jeans, a white t-shirt or black sweater, a black leather motorcycle jacket, and black work boots. Fingerless gloves and scowling complete the look. 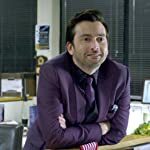 Kilgrave from "Jessica Jones:" Wear a chic purple suit. If you can't control people's thoughts after that suit goes on, fake it until you make it: Give serious stares and lots of intense eye contact. 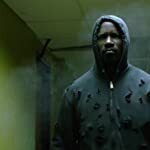 Luke Cage from "Luke Cage:" You have superhuman strength and you're bullet-proof: cutting holes in your attire is the most important feature of your costume. 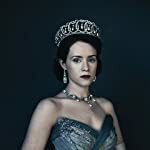 Queen Elizabeth II from "The Crown:" An elegant gown and a crown will let people know you're royalty. If you want your friends to know which queen you are, also put on a high-society British accent. 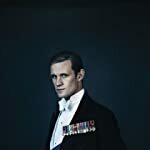 Prince Philip from "The Crown:" Since there's not much to do as a royal consort, Philip loved parties (according to the TV series, anyway) so this is the perfect costume if your calendar is full of Halloween festivities. 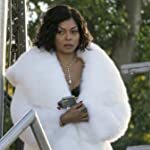 Cookie Lyon from "Empire:" Under the fur coat (it only has to look somewhat real: animal friendly, less expensive costumes are encouraged), wear a revealing leather dress and sky-high heals. Also wear a confident, bossy attitude. 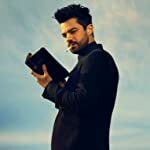 Jesse Custer from "Preacher:" All you need for this is priest's cassock (simple black pants, shirt, and sweater or jacket will due, along with the white clerical collar is fine), heavy stubble, and a cigarette hanging out of your mouth. A low, deep voice used to tell people what to do will lock in the authenticity. 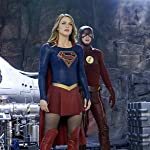 Supergirl from "Supergirl:" Put on a blue leotard with the mandatory "S" attached, a red miniskirt, red thigh-high boots, and a red cape and you'll probably already feel like a superhero, once you get over feeling foolish. 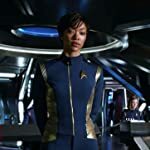 Michael Burnham from "Star Trek: Discovery:" This Lieutenant Commander is a xenoanthropologist, so take a trip to the library stacks and brush up on cultural anthropology and you'll be a shoe-in for the best portrayal prize. 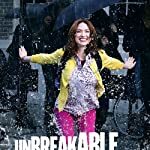 Kimmy from "Unbreakable Kimmy Schmidt:" This one's a piece of cake, except your face might hurt from smiling so much; don a hot pink pair of jeans, a floral top, a bright yellow sweater, a backpack, and your cheeriest smile, of course. Playfully jumping in a puddle optional. 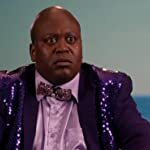 Titus in "Unbreakable Kimmy Schmidt:" A flamboyant suit (and, if needed, a "bald-cap") is easy enough; the challenging part will be to learn to sing a selection of Broadway songs - with pizzazz. 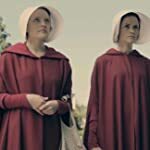 Offred or Ofglen from "The Handmaid's Tale" These friends are part of an underground resistance so you'll want to make sure you're convincing as a handmaid, in order to not arouse suspicion as a resister but, don't worry, party animal, eventually you can break out and have some fun as an uncloseted rebel. O.J. 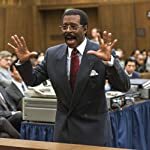 Simpson from "American Crime Story:" Show up in an expensive (or expensive looking) suit and tie with black leather gloves that are too tight and people will get the picture. 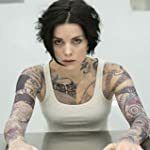 Jane Doe from "Blindspot:" Get out that black marker or buy stock in temporary tattoos. Optional: her FBI uniform.